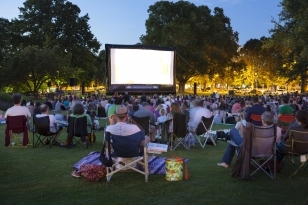 Movies in the Park kicks off April 13th! We will be showing Cars 3 and we will have Big Truck Day as well! We will have a school bus there, a tow truck, a police vehicle, a fire truck and an ambulance for the kids to look at and touch. The vehicles will be set up by 6 and children will have 2 hours to oooo and awww. Ms. Poppy the clown will also be there for free face painting and animal baloons. We will have popcorns and waters along with some other some other small concessions. Bring your lawn chairs and blankets and come enjoy a family friendly and fun evening with the Bastrop YMCA and our friends! Our Movies in the Park line up is below for the rest of the season. We will have funactivities for each movie as well as Ms. Poppy the clown, who will be at every movie besides Monster's Inc, the pool movie. We hope to see you there! April 13: Cars 3 (Fisherman's Park) RESCHEDULED for April 27th. Thanks Movies in the Park Series sponsors, City of Bastrop, Best Buy, Maxine’s Café, Rapid Carwash, KB Homes, Check N Go and Kona Ice! If you have any questions please feel free to stop by our Main Street office or give us a call @ (512) 321-9622.